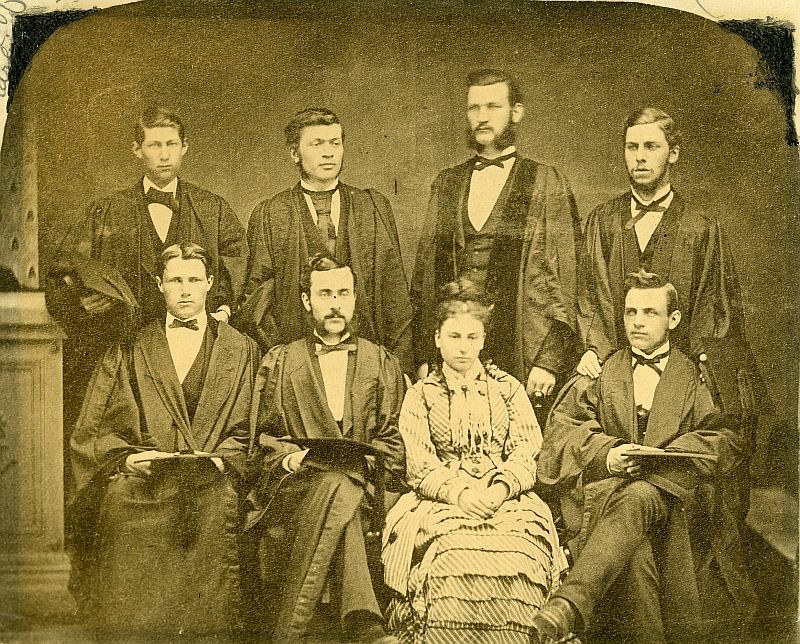 Grace Annie Lockhart, pioneer of women's university education (b at Saint John 22 Feb 1855; d at Charlottetown 18 May 1916). Graham (Elias) George. Composer, teacher, theorist, organist-choirmaster, conductor, b Norwich, England, 11 Apr 1912, d Kingston, Ont, 9 Dec 1993; ACCO 1934, ARCO 1935, FCCO 1936, B MUS (Toronto) 1936, D MUS (Toronto) 1939. Gregori Garbovitsky. Violinist, conductor, teacher, b Kreavri, near Dniepropetrovsk, Russia, 1892, d New York October 1954. He studied violin at the St Petersburg Cons with Leopold Auer (at the same time as Kathleen Parlow and Jascha Heifetz) and composition with Alexander Glazunov. Levin, Gregory (John). Composer, teacher, pianist, conductor, b Washington, DC, 8 Mar 1943, naturalized Canadian 1989; BA (Harvard) 1967, MFA (Brandeis) 1969, PH D (Brandeis) 1975. Guillaume (William) Couture. Teacher, conductor, choirmaster, composer, organist, baritone, critic, b Montreal 23 Oct 1851, d there 15 Jan 1915. He studied solfège in primary school and at 13 became choirmaster at the church of Ste-Brigide in his native parish. Guillaume Couture, teacher, choirmaster, composer (b at Montréal 23 Oct 1851; d there 15 Jan 1915), grandfather of Jean PAPINEAU-COUTURE. Guillaume (Ladislas) Dupuis. Teacher, choirmaster, b Montreal 3 May 1887, d there 25 Apr 1954. Gustav Ciamaga. Composer, teacher, writer, b London, Ont, 10 Apr 1930, d Toronto, 11 Jun 2011; MFA (Brandeis) 1958. He attended the University of Western Ontario 1951-4 while studying privately with Gordon Delamont. Gustave Comte. Critic, teacher, librettist, b Montreal 30 Mar 1874, d there 14 Feb 1932. He abandoned his legal studies to devote himself to music and theatre journalism, and wrote for several dailies in Montreal (La Patrie, La Presse, Le Canada) and Ottawa (Le Temps). Gustave Labelle. Cellist, teacher, composer, b St-Henri (Montreal) 1 Nov 1878, d Montreal 31 Mar 1929. He began his musical studies with his father, Charles, and then studied cello with Jean-Baptiste Dubois. (Charles) Gustave Smith. Teacher, organist, composer, writer, painter, draftsman, b London 14 Feb 1826, d Ottawa 6 Feb 1896. Guy Bourassa. Pianist, teacher, b St-Raymond-de-Portneuf, near Quebec City, 30 Jul 1923, died Québec City 5 Oct 2001. Guy Edouard André Joseph Desbarats, architect, teacher, dean, author, consultant (b at Montréal, QC 30 July 1925; d at Sherbrooke, QC 30 August 2003). Desbarats graduated from the MCGILL school of architecture in 1948. Guy Frégault, historian (b at Montréal 16 June 1918; d at Québec C 13 Dec 1977). Frégault pursued classical studies at Saint-Laurent and Jean-de-Brébeuf colleges in Montréal. He then enrolled in Université de Montréal and eventually completed his PhD in history at Loyola University, Chicago in 1949. Guy Lachapelle. Percussionist, teacher, composer, b Granby, Que, 2 Mar 1931, d Florida 25 Mar 2008; premier prix (CMM) 1954. He studied at the CMM 1948-54 with Saul Goodman. In 1954 he joined the MSO and served 1958-78 as its principal percussionist. Guy Robert, writer, teacher, critic, publisher, poet (b at Ste-Agathe-des-Monts, Qué 7 Nov 1933). After studies at U de Montréal and U de Paris he was among the first to teach the literature of art in Qué. Starting in the 1960s, he threw himself wholeheartedly into the QUIET REVOLUTION. Thompson, Gwen (Gwendoline Linda Louise). Violinist, teacher, b Winnipeg 30 Mar 1947; B MUS performance (Indiana) 1969. A pupil of Frank Simmons, John Waterhouse, and S.C.